Anthony Joshua will face Wladimir Klitschko in a much-anticipated heavyweight showdown on April 29th at Wembley Stadium. But can Joshua beat Klitschko? This clash of the Titans will go a long way to determining the greatest heavyweight in the world. Safe to say it’s the most eagerly awaited heavyweight clash since Klitschko’s defeat by Tyson Fury – and arguably since Lennox Lewis fought Klitschko’s brother Vitali in 2003. This super fight has already broken box office records, with more than 80,000 tickets sold and an extension to Wembley’s original capacity in the offing. The second batch of tickets sold out in less than an hour, and total sales have now beaten the record set by Carl Froch’s rematch against George Groves in 2014. He would say that. But this time he might actually be right. 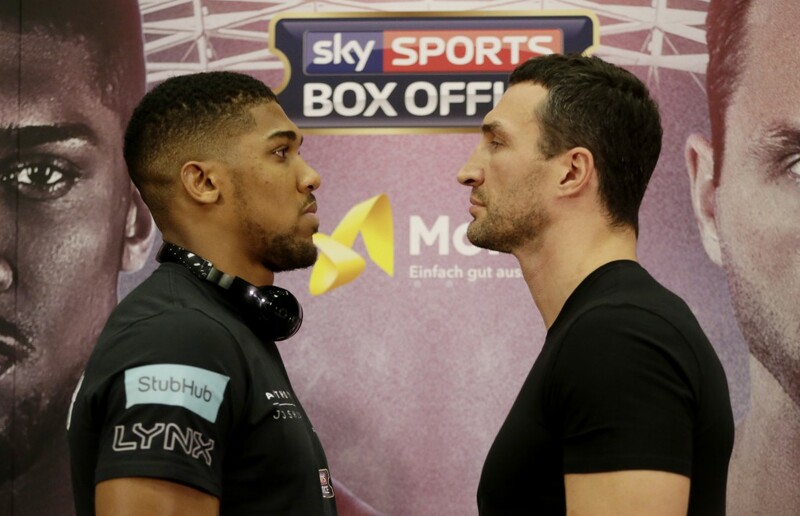 So, as the fight creeps closer, the question on everyone’s lips is can Joshua beat Klitschko? The 27-year-old Brit has certainly got a lot going for him. At 6ft 6in and with a reach of 82 inches, he cuts a formidable figure. After winning super heavyweight gold at the London 2012 Olympics, Joshua turned pro in 2013. Since then he remains unbeaten after 18 fights, with a 100% knockout rate. With an average of 2.44 rounds per fight, no one’s even come close to taking him the distance. He was tested in a grudge match against fellow brit Dillian Whyte in January 2016, but Watford’s finest (sorry Steve Finn!) settled the rivalry with a ferocious seventh-round knockout. 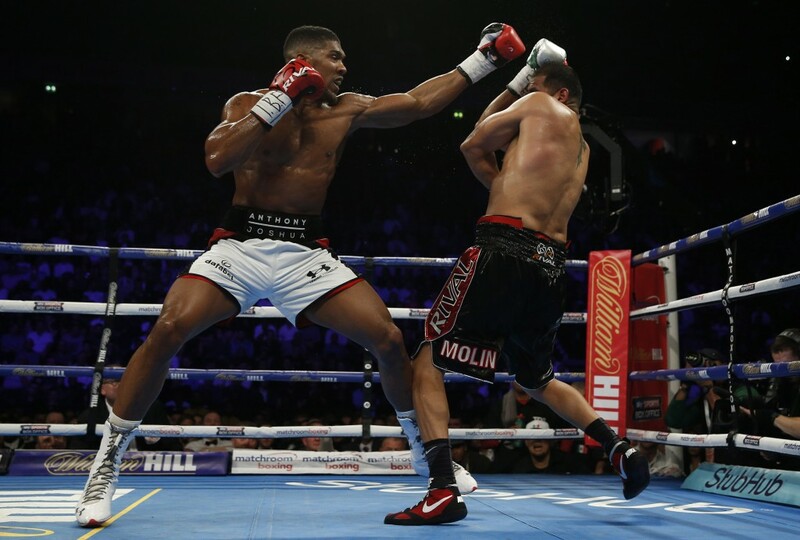 A few months later, gutsy American Dominic Breazeale also took Joshua past the halfway mark but never really threatened before being floored by an explosive onslaught of unanswered punches. Aside from those two, Joshua’s never been taken past three rounds – but he is yet to face anyone even approaching Klitschko’s calibre. Will it be a different story on April 29th? There’s no questioning Klitschko’s pedigree. The Ukrainian turned pro in 1996 and has since been beaten just four times in 68 contests. He’s the second-longest reigning heavyweight champion of all time – his reign lasted almost ten years before Fury overturned the odds to dethrone him in 2015 in Dusseldorf. 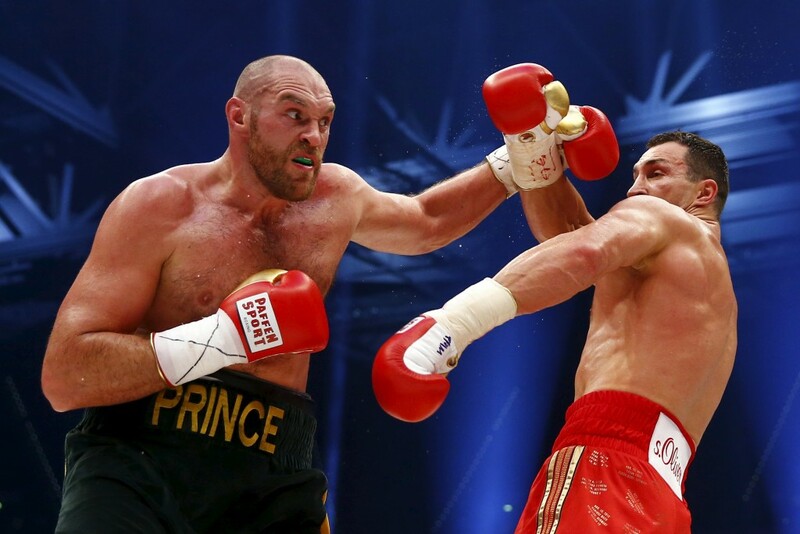 Fury outboxed Klitschko to take the world heavyweight title, winning on a unanimous points decision after a strangely subdued Klitschko barely landed a punch. Klitschko hasn’t fought since. Fury has twice postponed a scheduled rematch, the first time due to an ankle injury and the second because of mental health issues. The fight against Joshua will be Klitschko’s big comeback, and he’ll be thirsty for redemption. But will his pedigree win out, or is he over the hill? 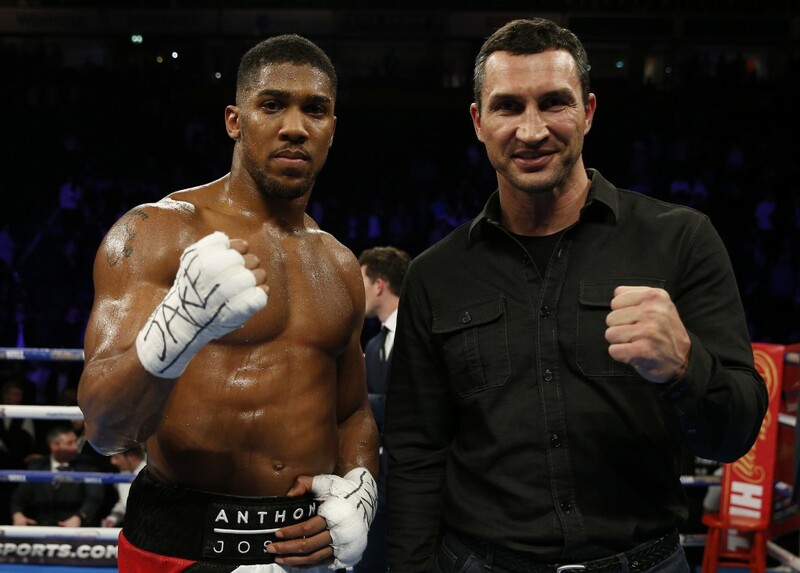 Youth is certainly on Joshua’s side – Klitschko will be 41 by the time they fight, making Joshua 14 years his junior. But the flipside is that Klitschko is an all-time legend, with years and rounds on Joshua – 314 rounds, to be exact. And the best jab since Larry Holmes. Joshua has an explosive punch, but he’s never been taken past the seventh round. He’s quick and agile, but we don’t know how he’ll cope in the later rounds. And we don’t know enough about his chin. Klitschko has gone the distance in his last two fights and been to the 12th round in four of his last seven. The last person to knock him out was Lamon Brewster in 2004. Will Joshua be able to break down Klitschko’s formidable defence, or will the Ukrainian just prove too streatwise? Timing may be on Joshua’s side. After a year and a half out of the ring and still stinging from his first defeat in almost 12 years, it’s anyone’s guess which Wladimir Klitschko will walk out at Wembley in three months’ time. Will Klitschko’s jab make the difference or will Joshua’s raw power prove too much to take? Is experience key or is it time for Joshua to usher in a new era? It’s a tough one to call. Whatever happens, it’s not worth missing. Want to know more about our tailor-made packages? Get in touch with us today.